Looking for some extra income at a job with flexible hours, access to training, tuition benefits and opportunities to work at locations close to home; or are you looking for a new full-time employment opportunity for the New Year? Then Blackstone Security Services, Inc. is looking for you. 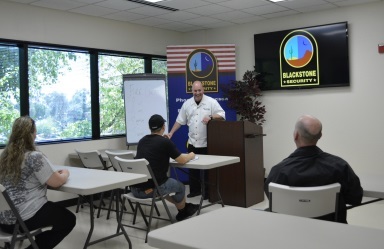 Security is the #1 fastest growing industry in America, according to Inc. Magazine, which has named Blackstone to its list of the fastest-growing companies in America for the past two years. 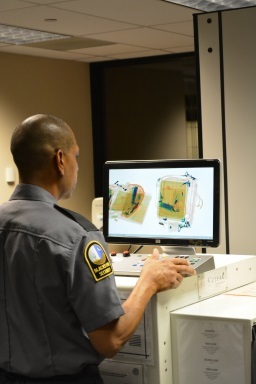 Our growing client list means we need full- and part-time personnel for our unarmed security guard force. This is perfect for students needing extra cash and for anyone seeking full-time employment or extra income. Just have a valid driver’s license, reliable transportation, some basic computer and writing skills and authorization to work in the United States. 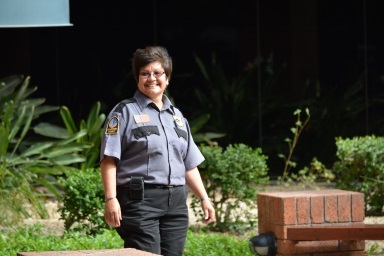 Standing post and foot patrols are also part of the job. Blackstone is a Certified Veteran-owned business so military and law enforcement veterans are welcome. Experienced security guards are also needed. You can join the team that won the Business Ethics Award from the Arizona Better Business Bureau and is cited locally and nationally for entrepreneurship and growth. So don’t wait. Call (866) 454-7323 for more information or apply online today and let’s get the process started. Blackstone is an equal opportunity employer and does not discriminate. For a printable version of the application, click here.